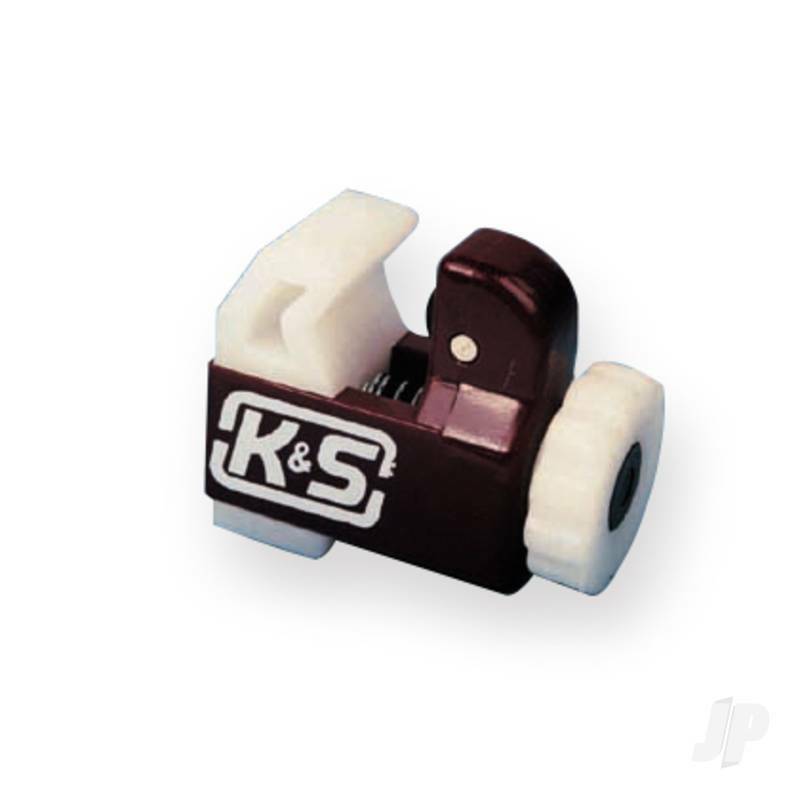 The K&S Tube Cutter handles round brass, aluminium and copper up to 5/8 OD. Nylon body helps reduce friction. 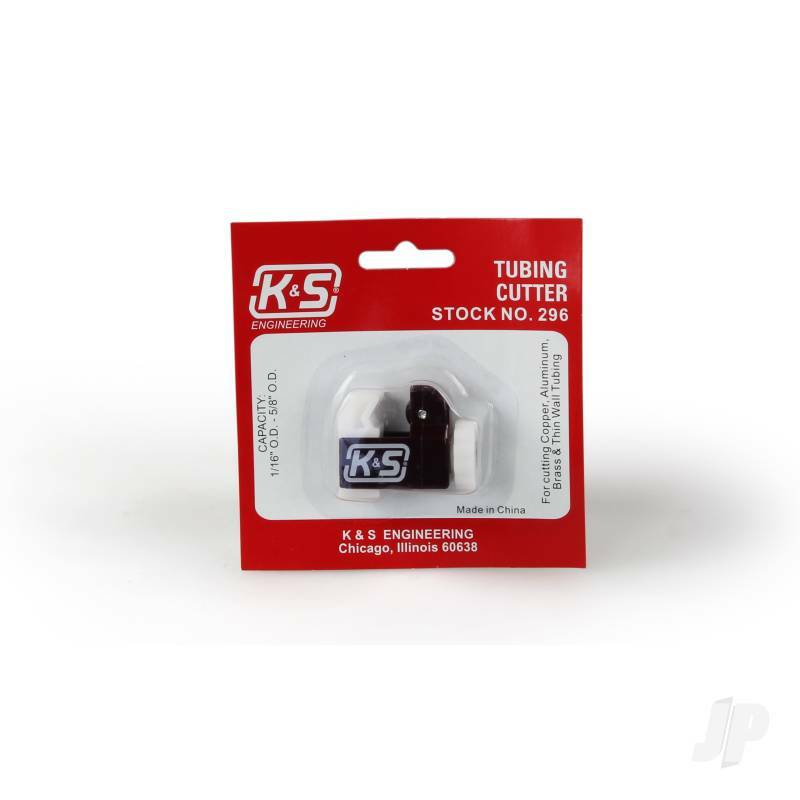 Cuts tubing without crimping. If you've ever tried to cut brass tube by rotating it when you use this.